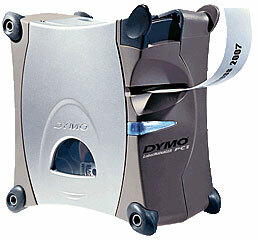 The Dymo LabelManager PC II has been discontinued. No direct replacement is available. Be creative - use text, symbols and graphics on any label. With the Dymo LabelManager PC II, your imagination sets the boundaries. Now it's easy to print permanent, high quality, plastic labels up to 1" wide- right from your PC. With inlcuded label design software and colorful D1-style tapes, you can create eye-catching labels with text, symbols and graphics for file folders, presentations, in-out trays, disks and other media, property and shelf tags, art projects, electrical and datacom applications.